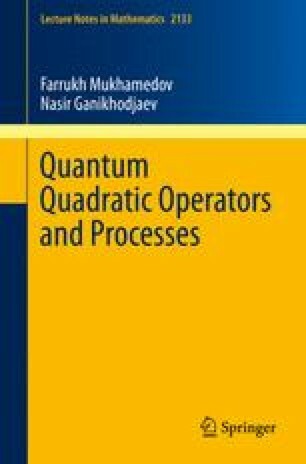 In this chapter we introduce quadratic stochastic processes (q.s.p.s) and give some examples of such processes. Furthermore, constructions of q.s.p.s are provided. Associated with a given q.s.p. are two kind of processes, called marginal processes, one of which is a Markov process. We prove that such processes uniquely determine a q.s.p. This allows us to construct a discrete q.s.p. from a given q.s.o. Moreover, we provide other constructions of nontrivial examples of q.s.p.s. The weak ergodicity of q.s.p.s is also studied in terms of the marginal processes.